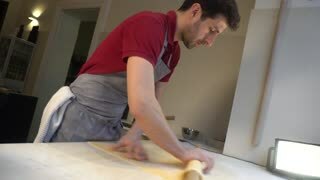 Hands making pastry. 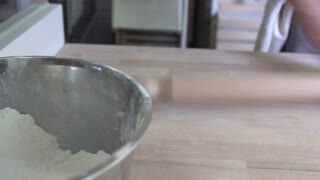 Rolling pin and baking molds. Special biscuits recipes. 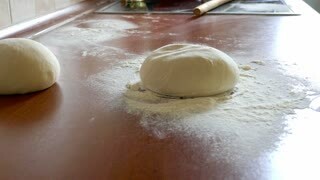 Hands rolling dough. 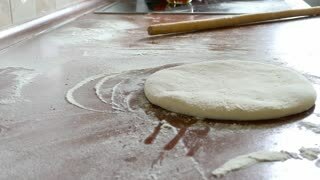 Chef making a pizza crust. Thin pizza crust. 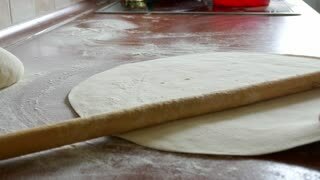 Hands using rolling pin.